When G came home with a job offer in Indonesia it almost felt like an easy out. A year’s maternity leave, a pay rise to cover my loss of income, and a rent free experience in Asia with time to enjoy my new baby. We said yes, and within months I moved from life as Kirsty Major Account Manager, to Kirsty Stay At Home Mother in a foreign country. I had no no idea at that stage that there would be another move on the horizon in 18 months time. I, like many expat women, found myself trying to balance a mobile career search. Was it worth applying if we were going to get transferred again? When would we have our next child? Should I wait until we were sure? I worried about keeping my skills up to date and becoming irrelevant in my field, but most of all I worried about getting stuck. About becoming completely dependent on my husband. I mean this was the stuff that novels and movies were written and based on. Woman meets man, woman falls in love with man, woman follows man around the world, woman has children, woman supports man’s career for years only to find out man is bonking the 26 year old younger version of herself from the office. Woman sits jobless with children wondering what in the hell happened. I have complete faith in my husband, but it doesn’t just take an affair for things to turn pear shaped and you to find yourself backed into a corner where your career choices are limited. Today I’d like to share some tips with you. My tips come as a former recruiter and a woman who has many times had to make something out of nothing during an international move. 10 tips to keeping you, your career, and your professional self alive. It’s highly possible the industry you worked in previously may not exist in your current location. 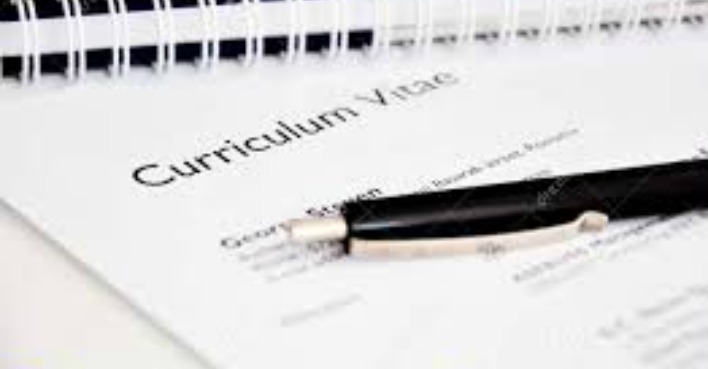 Adapt your CV accordingly for a job that will enhance your career prospects. A girlfriend who worked in Economic Development within the government found that there was absolutely no calling for the role in her current location. Business Development Managers in the private sector appeared to be very much in demand, she adjusted her resume accordingly. Have a look at what is being advertised. Which roles dominate the market? Maybe you need to be using a different language in your job title to explain your job description. If you can’t work, whether it be child related or because of your location, you can always study. Have a look at online education and see what takes your fancy. Take the option to further your career with an MBA, or perhaps this is your one chance to move into a different role? If you’ve secretly always been interested in Graphic Design or Print Media this is the time to see if its for you. If you can’t get a work visa think about volunteering. What better way to feel good about yourself while keeping your resume loaded with additional skills. Volunteering is a great way to not only meet people out of your circle but to get a feel for the real issues in a city. 4. Keep Memberships/Industry Affiliations current. I have many friends who travel each year to undergo further courses or exams to keep their qualifications current. Whether you’re a speech therapist, a nurse, or an accountant you’ll need to keep your credentials up to date. Keep your memberships and qualifications current. Take yourself seriously, it’s too easy to decide that because you haven’t used those skills for a couple of years they’re irrelevant, they’re not. Don’t give up on them. Use the time to learn the language “I spent two years traveling with my partner’s career” as opposed to “I spent two years studying Arabic and Middle Eastern Culture” are two very different interview conversations. I know time can be of the essence when you have a baby at your feet and a small child to collect from nursery by midday, but think about having a tutor come to the house. Keep aside some money every month, put it into an account that is not linked to your joint account or mortgage. It doesn’t have to be underhanded or hidden from your partner, but keep some money of your own. Turn money that you would possibly fritter away on a coffee or an item from the sales, into money for your next course or business venture. I recently stopped my morning run to Starbucks and now have an additional 100 riyals in my purse at the end of the week. That’s 400 a month, which is nearly 5,000 riyals at the end of the year that I have to spend on a whatever I choose. I have an idea of an online business I’d like to start – guess where I’m getting my funding from? Make sure you collect references from anyone you’ve done work for. If they asked you to design the logo for the school t-shirts, get a reference. If you collated the newsletter for the football association, get a reference. If you were the treasurer of the Australian/New Zealand Association Gala night, get a reference. And while you’re at it – get a housing reference from everywhere that you’ve lived. You may need to rent when you return home and if you’ve been out of the country without a job you’ll need to prove you’re trustworthy and reliable tenant. One of my biggest regrets in my travels is the amount of times I didn’t get involved because “we’re probably going to be moved in the next 12 months”. When I finally learnt my lesson and just threw myself into a new job we ended up sticking around for 4 years. I outlasted most of the millenials in the organization who had moved onto bigger and better things by the 2 year mark. Don’t hold back. Brainstorm with friends, discuss ideas with your partner, research online. Keep looking for that one thing, the thing that you feel strongly about. I’ve watched my neighbour here in Qatar kick off quite a few different ideas, some of them worked, some of them didn’t. A couple of years ago she collated a book and it’s now perhaps the leading farewell gift in Doha. Your idea may sound crazy to everyone else but you. Give it a try. What’s the worst thing that could happen? Go do it!